Come up for air when you're "underwater" and find yourself owning a vehicle with negative equity. Upside down, underwater, in the hole, it doesn't matter what you call it, when you owe more money on your car that it's worth you're in a sticky situation. Elite Auto Centre can help you get back on your feet and turn this situation around. While there is no quick fix, you do have immediate or long-term solutions when it comes to escaping your negative equity. Don't worry about selling your vehicle now. Continue making your payments and keep your current vehicle on the road. You may have to stall plans for a new vehicle until you break even on how much you owe versus your vehicle's value. If your budget will allow, consider making larger payments and free up some of the interest. You may also consider refinancing your car loan to lower your interest rate and ultimately, pay less for your vehicle. If you're dead set on that new vehicle then there are options for that too or maybe you bought a two-door hatchback but now you need space for a car seat. 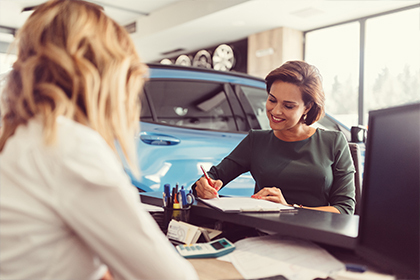 You can still approach your trusted dealership and trade in your current vehicle, rolling over the balance into financing your next vehicle. You can even end up on the better end of things if your new vehicle comes with rebates and rewards valued at or around your balance amount. Want to learn more about financing options? We have a dedicated team of financing professionals waiting to help you find your next vehicle.